If you have been around for a while then you must know that I was not a make-up person for the longest time. However, with blogging I seem to have turned a new leaf. So when i saw an opportunity to review some of Revlon products, I jumped, if nothing else, to come out of my comfort zone. Hence, this is going my first beauty products review. 2) Next is the Revelon Longwear Nail Enamel which is spposed to last you for 11 days. While I can't say it stayed on for that long, but it did have a gel-like sorbet shine. I usually apply nail paint so that I don't bit on them, but this almost made me think otherwise, purely due to the richness of the color. 3) Revlon Colorburst Sizzle Canicule - This has, in no time, become my go to gloss for the season. It has a great tangy color with no shimmer. The texture of the gloss is not on sticky and doesn't dry my lips out. 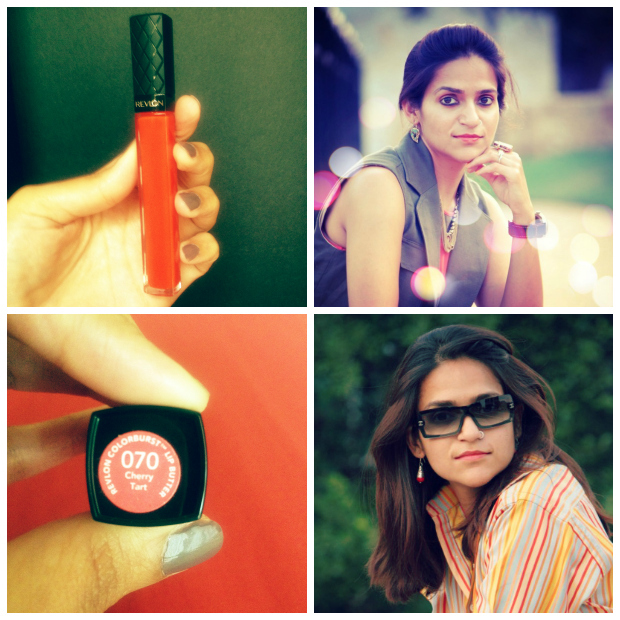 4) Revlon Colorburst Lip Butter (Cherry Tart) had a reddish orange shade which is bright and creamy. 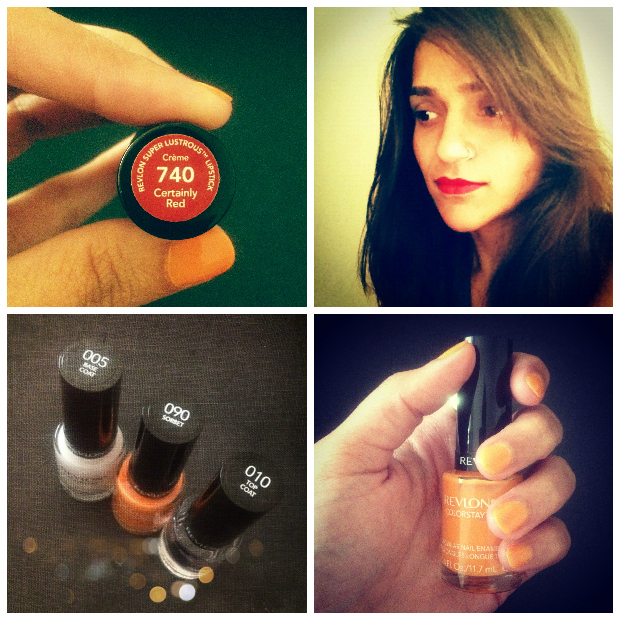 If you are looking for a new shade which can be worn during day or evening, this would be my pick. 5) Revlon Photoready Color Corrector Primer - It did what its name says. Over all I saw an even color tone, reduced redness and smoother finish after applying it. 6) Revlon Photoready Eye Primer & Brightener - It's a good concealer for brightening the under eye without being cakey or creasing. It has a liquid texture and was as easy as tap-and-apply with just the tips of my fingers. 7) Revlon Colorstay (Inspired) - The packaging stated that it would last a good 16 hours and it held up it end. i applied it over the primer and it lasted me good 10 hours without fading and creasing through the night. I pretty much look exactly like I do in the picture for the whole night through. 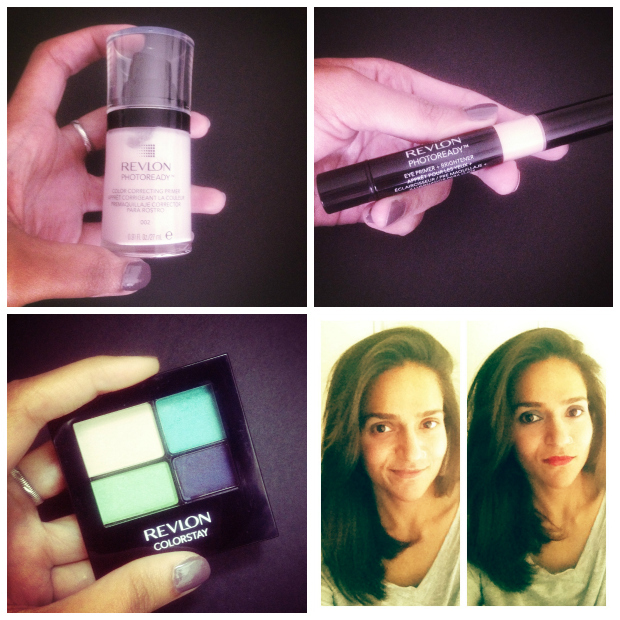 Have you tired the Revlon products? What has your experience been?